Sven has a dream. 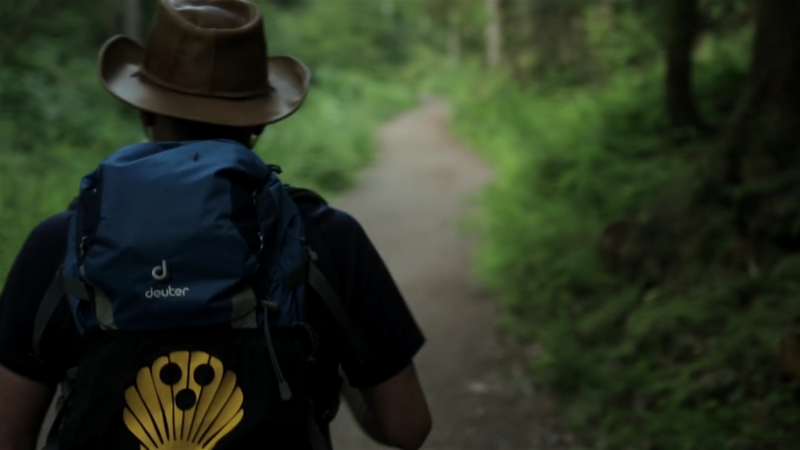 Once in his life he wants to walk the Camino de Santiago - the Way of St. James! But that seems impossible, Sven has Usher syndrome, a disease which slowly, inexorably robs him of hearing and vision. Profoundly deaf and completely blind since 2010, he can only communicate using a special hearing aid in the spoken language. A hearing aid does not distinguish the sounds - they flow, unfiltered to him - only helpful if Sven‘s environment is calm and silent and even then it brings exhaustion and headaches. He mainly speaks via tactile gestures, forming words and letters using his hands. He is totally dependent upon the help of his specially trained assistants. Sven has to entrust himself to his assistants, because although he is their „boss“, he can’t fully perceive his surroundings. They are his eyes and his ears. They guide him, describe his surroundings and translate every communication with the outside world for him. There are less than 50 trained Deafblind Assistants in Germany. 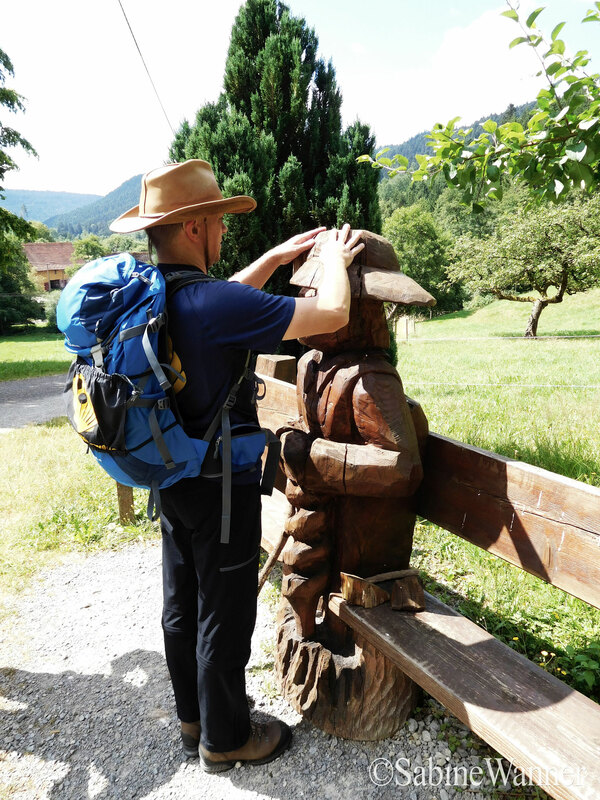 As assistant, Almuth learns of Sven’s dream to wander the Camino de Santiago, she offers to accompany him on the 800 kilometres. Sven can hardly believe it. Immediately he prepares for the journey of his life. He plans his trip together with Almuth over two years. Seven assistants will alternate his care. He has worked with 3 of this all female crew before - he barely knows the rest. In the middle of April, after much preparation, the journey begins. Just a few days in this alien environment Sven begins to behave aggressively. The mood shifts dramatically from romantic optimism to a dark, furious disappointment. 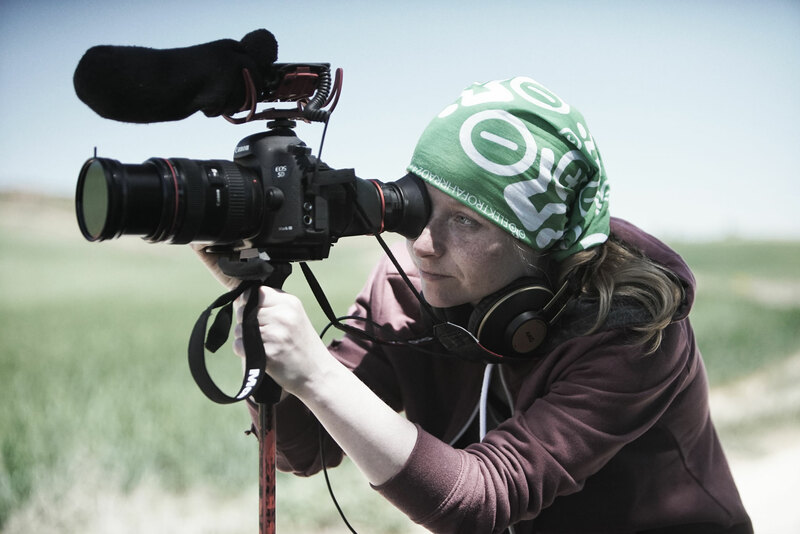 Filmmaker Susanne Bohlmann accompanies the group along the entire six weeks through Spain, recording the frustrating struggle between Sven and his companions. All want to help, but are attacked, pushed down and away. The demons of his past and disability break out of him and make the journey a nightmare for everyone. Sven‘s physical condition is also deteriorating. His knees can no longer withstand the unfamiliar terrain. 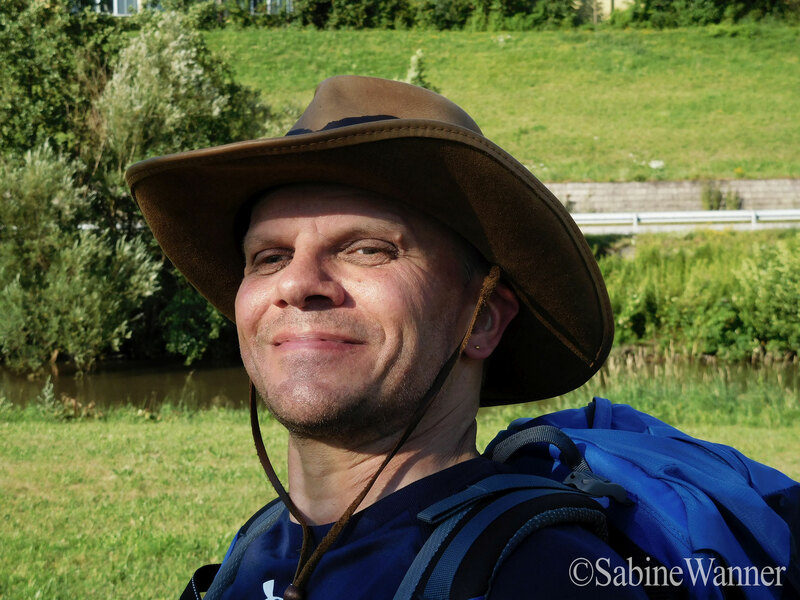 Sven has to go to the hospital and delays the walk for several days. He feels more and more imprisoned and isolated. The Way of St. James disappears under his feet. He only counts the miles and every step is an ordeal. Gradually, the assistants rotate and return home with the feeling of failure, disappointment and anger. Sven‘s Camino is not at all the heroic journey the director had hoped for, yet it gives an intimate glimpse into the world of a deafblind man, his desire for freedom, independence and self-determination. Sven hat einen Traum. 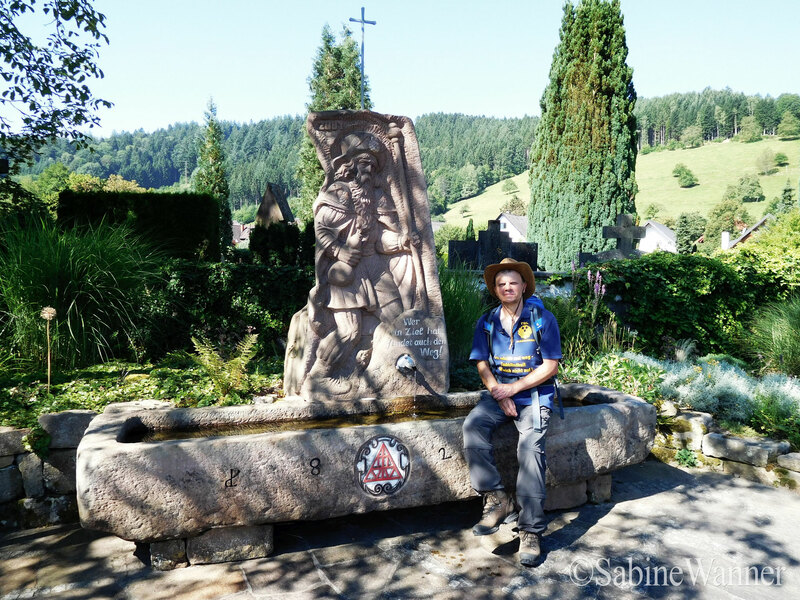 Einmal im Leben will er den Camino de Santiago laufen - den Jakobsweg! Doch dies scheint schier unmöglich, denn Sven hat das Usher-Syndrom, eine Krankheit bei der man langsam sein Hör- und Sehvermögen verliert. 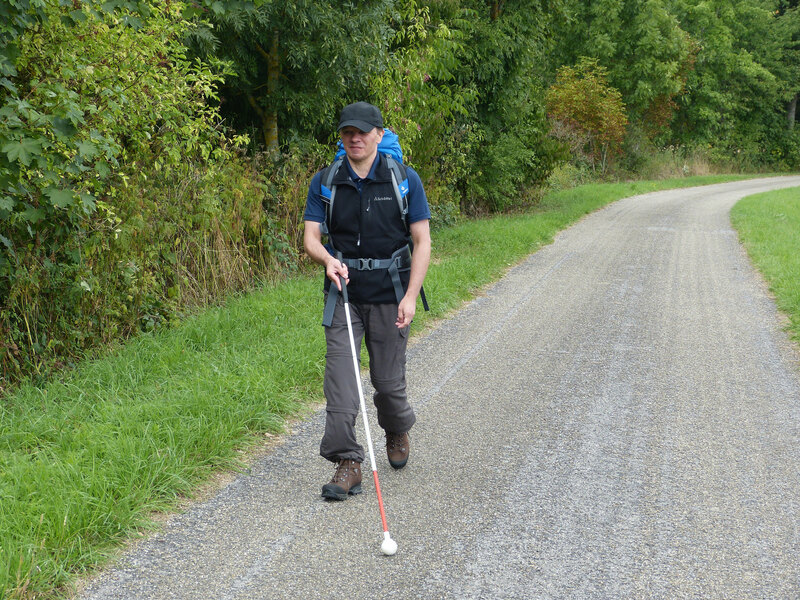 Er ist schwerhörig und seit 2010 vollkommen blind - seine Fernsinne fehlen. Kommunizieren kann er mit einem speziellen Hörgerät lautsprachlich, aber dieses unterscheidet die Geräusche nicht – sie strömen ungefiltert auf ihn ein und so ist es nur hilfreich, wenn Svens Umgebung absolut still ist. Hauptsächlich spricht er durch taktiles Gebärden mit den Händen. Dabei nimmt man seine Hände und formt Wörter und Buchstaben. Er ist immer auf die Hilfe seiner speziell ausgebildeten Assistenten angewiesen. Seinen Assistenten muss Sven vollkommen vertrauen, denn obwohl er ihr „Chef“ ist, kann er seine Lage nicht einschätzen. Sie sind seine Augen und seine Ohren. Sie führen ihn, beschreiben seine Umgebung und übersetzen jede Kommunikation mit der Außenwelt für ihn. Es gibt nur ca. 50 ausgebildete Taubblinden-Assistenten in Deutschland. 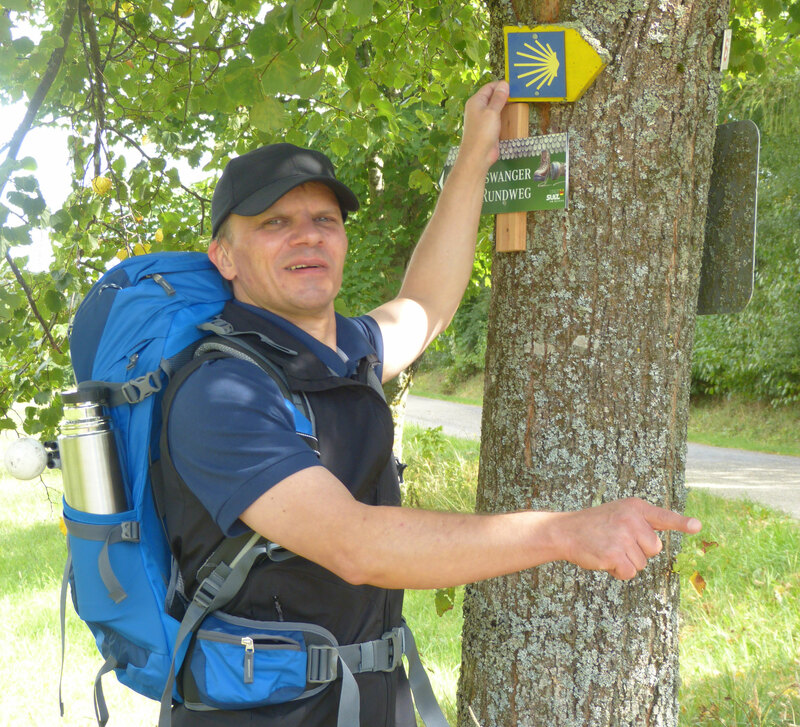 Als Assistentin Almuth von Svens Traum erfährt, den Jakobsweg zu wandern, bietet sie ihm an ihn auf den 800 Kilometern zu begleiten. Sven kann es kaum glauben. Sofort macht er sich an die Vorbereitungen für den Weg seines Lebens... Zwei Jahre lang plant er zusammen mit Almuth seine Reise. Sieben Assistentinnen sollen sich abwechselnd um ihn kümmern. Mit manchen der Frauen hat er schon gearbeitet - andere kennt er kaum. Mitte April geht es endlich los. Doch schon nach ein paar Tagen in der fremden Umgebung beginnt Sven sich aggressiv zu verhalten. Die Stimmung kippt. 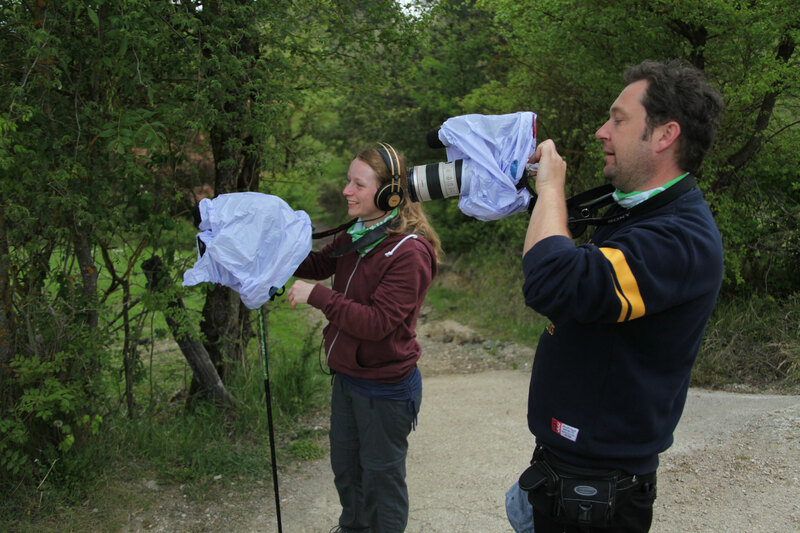 Filmemacherin Susanne Bohlmann begleitet die Gruppe für sechs Wochen durch Spanien und dokumentiert den frustrierenden Kampf zwischen Sven und seinen Begleiterinnen. Diese wollen helfen, werden aber von Sven attackiert und zurückgestoßen. Die Dämonen seiner Vergangenheit und seiner Behinderung brechen aus ihm hervor und lassen die Reise für alle zu einem Albtraum werden. Auch Svens physischer Zustand verschlechtert sich. Seine Knie können dem ungewohnten Untergrund nicht mehr standhalten. 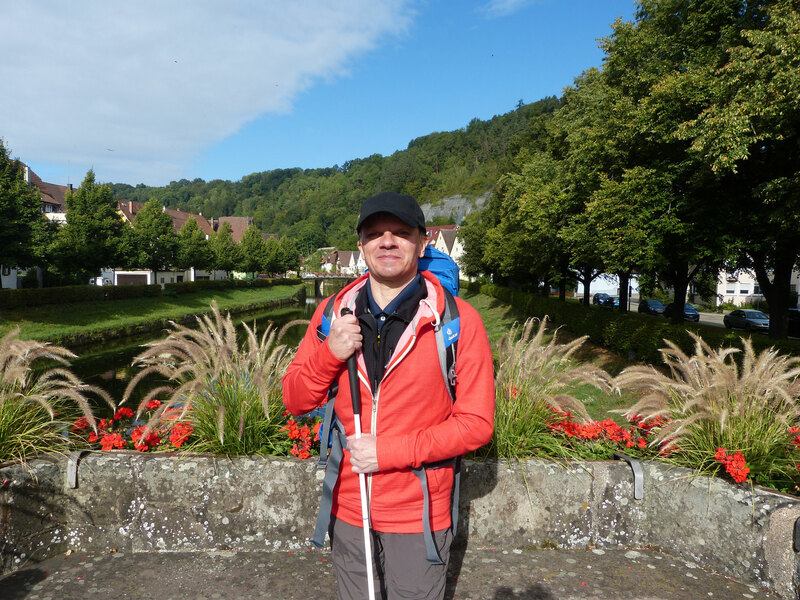 Sven muss ins Krankenhaus und seine Wanderung für mehrere Tage unterbrechen. Er fühlt sich mehr und mehr eingesperrt und isoliert. Der Jakobsweg verschwindet unter seinen Füßen. Es zählen nur noch die Kilometer und jeder Schritt ist eine Tortur. Nach und nach wechseln die Assistentinnen und fahren mit dem Gefühl des Versagens und der Hilflosigkeit nach Hause. Svens Camino ist nicht im Entferntesten die Heldenreise, die sich die Regisseurin erhofft hatte, dennoch gibt sie einen intimen Einblick in die Welt eines Taubblinden und reflektiert unseren Wunsch nach Freiheit, Unabhängigkeit und Selbstbestimmung. Sven was born deaf, his balance was poor and learning to walk was a slow unsteady process. Sven also kept secrets. School was difficult and lonely, his disability alienated him from his peers and no part more so than sport; he mostly couldn’t hit the ball, so feigned disinterest. Really his favourite thing was to paint, he expressed himself in weird and ever-changing colours; a verdant tree could be purple one day, yellow the next. He’d continually ask classmates for the colours right next to him so finally his teacher realised something was wrong. At age 13 he was sent to the doctors and diagnosed with Ushers syndrome; a congenital disorder which is the most common cause of deafblindness. His vision was blurred and distorted; his perception of colour was weak. He’d been faking it for years hoping he’d get better but it only ever got worse. The Doctors now told him he’d lose his sight completely. He fought to be normal but his teachers weren’t prepared for a deaf and blind boy. Despite his handicaps, his determination got him through his studies. Qualifying as a technical illustrator he secured a position in a local Firm of Architects. That was one of the happiest days of his life. It gave him a connection to the world but, although he pretended otherwise, his sight was worsening. He used his talent for precision and memory to compensate; creating a detailed mental map of any environment he entered. In 2010 his sight was so bad that he was sent to a special clinic in Hanover to prepare him for life without sight and to hone his abilities in touch sign communication. During the 14 months he was there he became completely blind one night. He tells us that he’d been trying to see so much before his eyes completely failed that a temporary relief enveloped hm. It was short lived; he was forced to give up his cherished job. Isolated and devalued, Sven never left his apartment. He sought solitude and fought with the temptation of suicide. Then Almuth arrived, his new care assistant, she decided to pull Sven from confinement. She talked to him. She encouraged him to walk in the nearby countryside. She would lead him, their hands grasping a little rope hoop to connect them. At first Sven was terrified and unsteady. He didn’t trust himself to do anything. But Almuth took him to wonderful spaces. She touched him. She described everything to Sven with touch sign language - the landscape, the wildlife; she painted the imagery with care. The smell and feel of those places came alive in Sven’s imagination. Sven loved that time – he felt the ground give under his feet, the aromas of the forest or the sun-baked tarmac as the rain rose from it. He felt the wind on his skin and the muscles tense in his body. He remembers this moment as when he finally came to terms with his condition. Later, Sabine joined the team. She tended to Sven in the mornings, Almuth did the afternoons. Sabine was quite different to Almuth. She was more reserved and quiet, but Sven felt comfortable with her near. She specialised in deaf and blind communication and had worked with them for many years. Sven was now driven to want longer walks over more difficult terrain. He infected all his assistants with wanderlust. Before I first met Sven this Spring I was quite nervous, the fear of the unknown I suppose. I don’t know any blind or deaf people; I wasn’t even sure how we would communicate. I was astonished how independent he was. 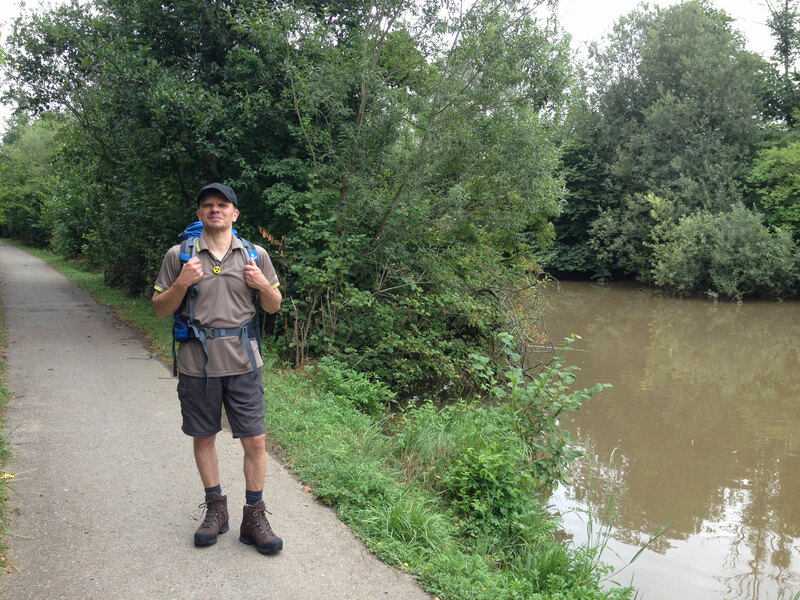 A friendly and confident man fixed on walking the Camino de Santiago. It was a wish of mine too though I never found the time, determination nor the courage. But for him it’s only a question of how soon. The pictures he has in his head of the walk draw him and he can’t wait to drink-up every bit of the adventure. Personally, I had never considered what it is to be Deafblind. But I quickly became aware of how much our security, independence and happiness comes at the luxury of sight and sound. It’s hard to imagine why he is so content and without bitterness. Where does his strength come from? It was a question I felt bound to answer; a very long walk might be the way. My mission is to jump into Sven’s world, entertaining and sharing the wonder he feels in ways we don’t yet fully understand. To glimpse at his experience will be to experiment with vision and sound whilst always taking an overview of the scale of this impossible journey. 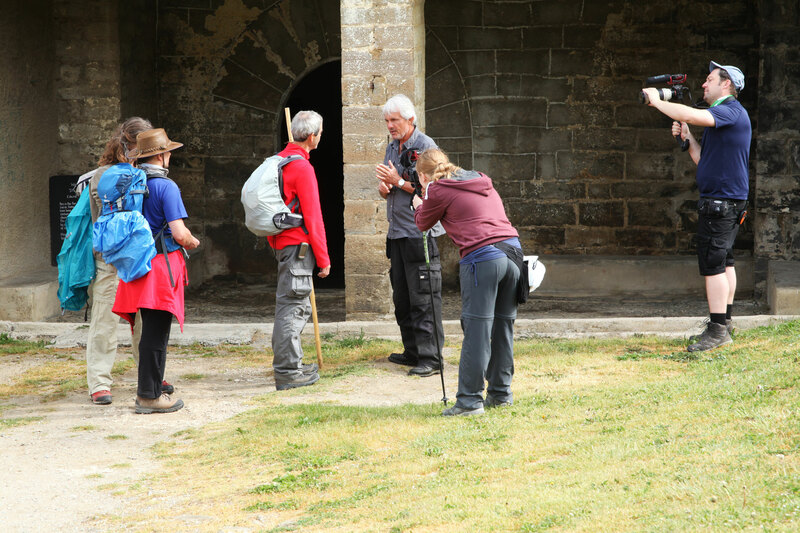 But this should not just be a film for me and you, my dream is to Premier the film and take the cinema experience to Deafblind people like Sven, each one with their interpreter, guiding them to share in the inspiration. Using smell and even taste from key moments to transport them from their isolation and set fire to their own ambitions for adventure. Als ich Sven im Frühling diesen Jahres kennen lernte konnte ich kaum glauben wie selbstständig er war. Dieser freundliche und selbstbewusste junge Mann hat tatsächlich vor den Jakobsweg zu gehen. Das wollte ich auch mal machen - doch ich hatte weder den Mut, noch die Zeit, noch die Entschlossenheit dafür. Sven ist blind und taub und doch so viel stärker als die Meisten von uns. Als er noch etwas sehen konnte hat er Filme sehr genossen. Nun legt er die bekannten Film (auf VHS) manchmal in den Recorder, setzt sein Hörgerät ein und lauscht dem Film. Die Bilder kommen aus der Erinnerung, sagt er. 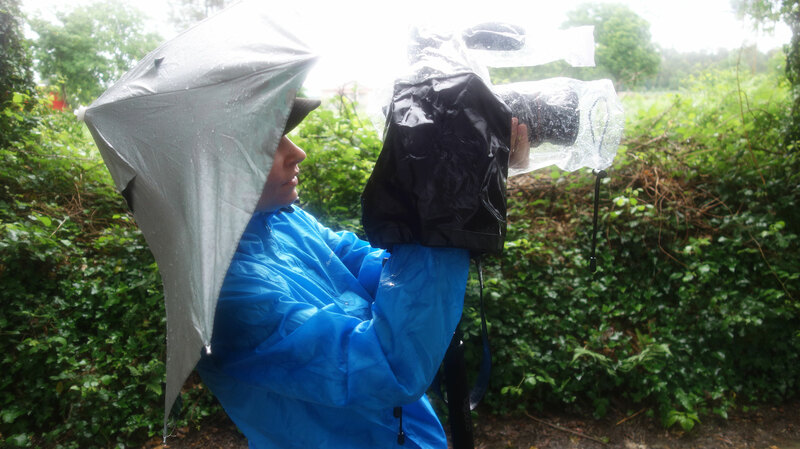 Doch bei neuen Filmen kommen keine Bilder. Die Bilder des Jakobsweges sind schon in Sven gespeichert. Er kann kaum erwarten jede einzelne Etappe zu gehen und sich durch die restlichen Sinne das Abenteuer in sich auf zu nehmen. Ich selbst habe nie zuvor bewusst über Taubblinde nachgedacht. Wahrscheinlich, weil man sie im Alltag nicht sieht - denn ohne spezielle Assistenz können sie nicht vor die Tür treten . Und wir nehmen unsere Sinne als so selbstverständlich wahr, dass die Vorstellung ohne sie zu leben bzw. glücklich zu leben kaum zu erfassen ist. Ich habe so viele Fragen an Sven: Wie er lebt. Warum er so glücklich ist? Woher nimmt er die Kraft? Wie hat er Vertrauen gelernt und und und... doch ich glaube ich werde all diese Fragen beantwortet bekommen, wenn ich mit ihm wandern gehe...Mein Wunsch ist es in Svens Welt einzutauchen und einen Film zu kreieren, der zeigt, unterhält, manchmal experimentiert und auf jeden Fall den Zuschauer mit nimmt auf eine fast unmögliche Reise. Unser Traum wäre es in der Premiere mindestens die Hälfte des Zuschauerraumes mit Taubblinden zu besetzen. Auch sie sollen den Film genießen können und sich von Sven inspirieren lassen. Natürlich braucht jeder einzelne von Ihnen eine/n Dolmetscher mit dem sie über die taktile Gebärdensprache den Film „sehen“ können. Wie wunderbar wäre es diese Menschen aus ihrer Isolation hinaus zu führen, auch wenn es nur für die Länge eines Filmes ist. Barrierefreiheit heißt das Zauberwort. 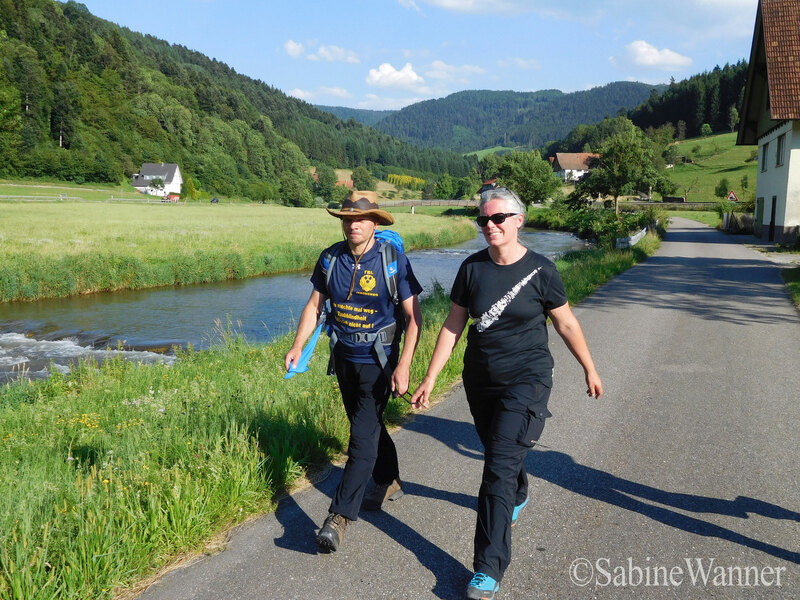 Diesen Sommer durften wir bereits mit Sven und seinen interessanten Assistentinnen im Schwarzwald wandern und selbst erleben wie ein Mensch mit nur drei Sinnen reist und seine Welt erlebt. Wir haben geschwitzt und gefilmt - bergauf und bergab und konnten bei diesem „Testlauf“ ein wunderbares Band des Vertrauens zu unseren Protagonisten aufbauen.